Sydney is one of those cities that goes all night and boasts an impressive array of venues to keep you occupied long past the last train leaves the nearest railway station. Luckily, night buses run right through the night so, if you get distracted there is an easy route back to your hotel. The action tends to be scattered around the inner-suburbs, rather than focussed in the main CBD, but there are a few places of note in the centre of the city. "Sublime" 244 Pitt Street, Tel: (02) 9264 8428, is one of the city's most celebrated clubs. Located at 244 Pitt Street, it is many clubbers' venue of choice. It plays host to DJs of international repute, and is big enough to prevent it becoming too packed, but small enough to keep the atmosphere intact. Three rooms make up the club, which errs on the Trance and House side of things. Not a place for those who are into Cheesy Listening, the club is open 'til 5am at the weekend and will set you back $AUS 10 -15 on most nights. Those who prefer to swing their pants in a seventies throwback kind of way will feel far more at home in The Retro which has recently moved into new premises at 20 Sussex Street, Tel: (02) 9212 4868, $AUS 10 . This is a real hoot of a night out for those who don't want to take things too seriously, and is something of a regular Sydney event amongst locals and visitors alike. Glitter balls come as standard, though platforms are optional. Sitting comfortably in between the serious and the cheese is Jackson's on George - one of those "go upstairs when the bar shuts on the lower level" affairs. No great surprises here, but worthy of a night out if you are staying in the CBD area and can't be bothered to hop on a bus out of the city. Jackson's on George is, unsurprisingly, located on George Street, right down by the Circular Quay end of town. Kings Cross is one of the main centres for the clubber with places that range from the sleazy to the more corporate. The "Underground Café" strikes a happy balance, located next to the Rhino Bar. Not huge, but big enough, the Underground is located near the CityRail Station at 22 Bayswater Road (cnr Kellet Street, (02) 9358 4676. The broad-minded could do worse than visiting the Albury in Paddington, 6 Oxford Street, cnr Boundary Street, Paddington (02) 9361 6555. It is home to one of Sydney's most celebrated nightly drag shows and enjoys a relaxed "all-welcome" atmosphere. Another place that has done well out of the "Priscilla Queen of the Desert" camp-it-up phenomenon is the Newtown Hotel 174 King Street, Newtown (02) 9557 1329 which puts on similar fayre on a Wednesdays at 11pm. 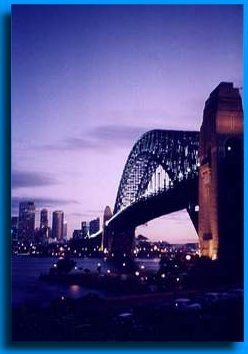 For details of what is going on when you are in Sydney, check out the free "Drum" magazine, which includes listings of gigs and clubs. Stations like 104.1 2Day FM and 104.9FM Triple M will do a similar job. Those into a more college rock / indie sound would do well to keep an ear on the ABC's 105.8FM Triple J station which, though national, will keep you up to date with the local scene.